Described in ancient times as a treatment for ‘every illness but death’, black seed oil has a long-standing history of medicinal uses that have been supported by science in the modern world. Originally cultivated in Egypt, the Nigella sativa seeds (black seeds) are jam-packed with bioactive ingredients and antioxidative components, providing a wide spectrum of health benefits, such as blood pressure regulation, weight management and allergy relief. Allergic rhinitis (hay fever) affects approximately one in five individuals in the UK (1). The dreaded hay fever season is fast approaching, bringing irritating sinuses, itchy eyes and sneezing-fits to a multitude of sufferers. Although it is difficult to prevent hay fever, black seed oil may be an effective and natural way to reduce the severity and duration of symptoms, as demonstrated by promising trials (2,3). In an Iranian study conducted by Nikakhlagh et. al on 66 allergic rhinitis sufferers, black seed oil supplementation for one month significantly reduced symptoms such as sneezing, itching and nasal congestion (2). Similarly, the administration of black seed at 40-80mg/kg/day reduced severity of target symptoms in 152 allergy sufferers, as shown in a study by Kalus et.al (3). For instance, for an individual that weighs 70kg, this dose would equate to approximately 2800ml to 5600ml (half a teaspoon to one teaspoon of oil) per day. According to these results, black seed oil may be an effective treatment for symptoms of hay fever, and can be taken with minimal side effects. How exactly does black seed oil work to combat allergies? It is suggested that the anti-inflammatory properties of the black seed contribute to reduced nasal congestion and severity of symptoms. 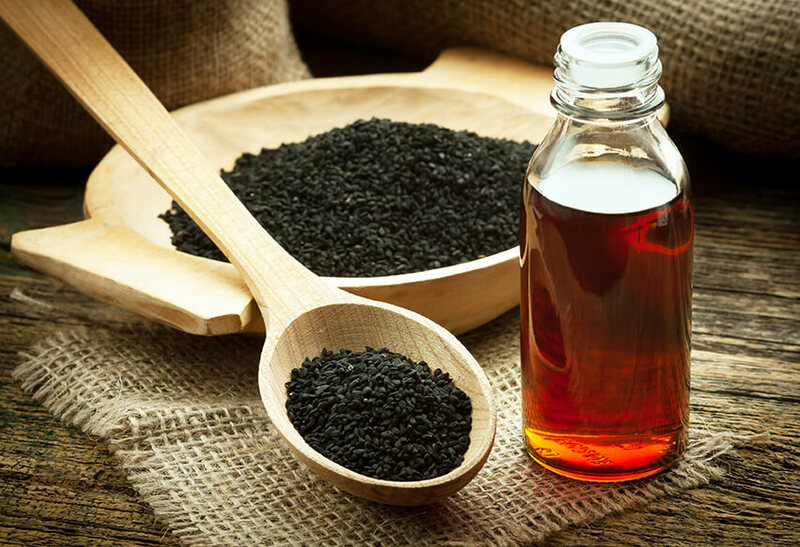 Black seed oil is also believed to improve the immune response, where the anti-histamine effects may reduce itching commonly experienced by sufferers. In conclusion, black seed oil is one of the most studied natural remedies, that has been utilized for its medicinal properties for over two thousand years. As displayed by the evidence, you may wish to consider black seed oil as a natural therapeutic approach to relieve allergic symptoms and hay fever. 3) Kalus U, Pruss A, Bystron J (2003) Effect of Nigella sativa (black seed) on subjective feeling in patients with allergic diseases. Phytother Res;17(10):1209-14. After reviewing a vast array of nutrition and herbal research, and speaking with leading influencers, Viridian Nutrition has duly recognised black seed, naming it the ‘Viridian Ingredient of the Year 2019' in further anticipation of its positive influence on nutrition and health.